Big News! 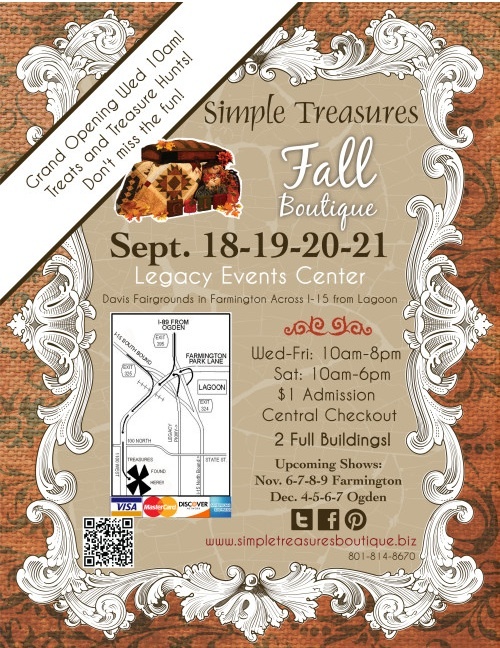 I signed up to do a booth at a local craft boutique called Simple Treasures. Visit the website HERE. The show will be September 18th-21st. I have been busy making things and working on a booth layout. To get ready for this craft boutique Matt and I designed a business logo, bought a domain (champanplaceblog.com),designed and ordered fabric labels and business cards. I found this great tutorial on how to design a fabric label. 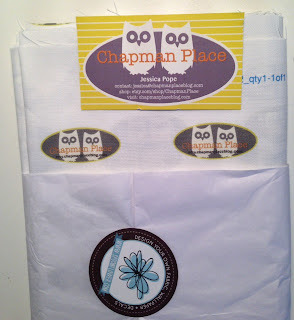 I found through this tutorial a company called Spoonflower.com where we could have the labels printed on fabric and mailed to us. For a yard of my label fabric we paid $20. A yard gave us around 300 labels. The other day I brought some of my stuff I will be selling to a local magazine's photo-shoot for Simple Treasures Craft Boutique. The September issue will feature some of my stuff on the cover. This photo is not what the final cover picture will look like. 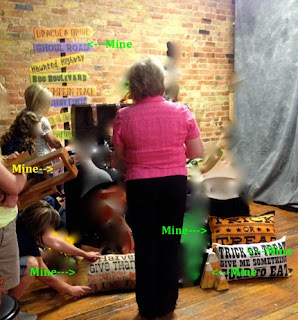 I have also blurred out the items that are not mine. Be sure to come to the craft boutique in September and buy some of my stuff! I have added some new Halloween pillows to my Etsy Shop that are now available for purchase. These pillow are so cute!